Sterling silver links, with no holes. 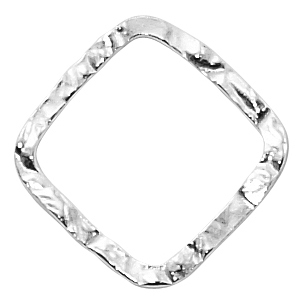 Hammered links measure approximately 20mm corner to corner, and are approximately 1mm thick. If using it as a square instead of diamond, it's approximately 17.5mm across.